IPOPI will be hosting a primary immunodeficiencies (PIDs) patients’ meeting in Zambia on April 2, to discuss regional priorities in the African continent! The meeting will take place in the city of Livingstone, and is being organised back to back with the African Society for Primary Immunodeficiencies (ASID) 5th Biennial Congress. Patient representatives from several African countries have confirmed their attendance and will give their contribution to a step-by-step plan to improve PID care in the continent. The African patient’s meeting will have an exciting one day patient meeting programme that will allow patients from different countries to get to know one another and learn from their experience. Physicians and patient leaders will share their concerns and expectations in an empowerment workshop. The joint session will help participants better plan and develop awareness and policy campaigns nationally. The programme of the patient’s meeting is available here. IPOPI, together with the African National Member Organisations (NMOs) already in existence, ASID and other stakeholders will gather to discuss the next steps in the region. 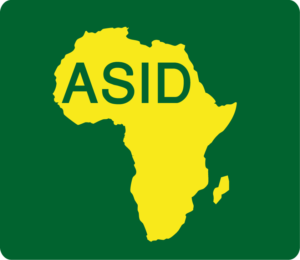 IPOPI will contribute to the ASID meeting with a scientific poster that identifies the potential for medical care for PID patients in Africa by offering a comparison to the care given to haemophilia patients:“Potential for Management for Primary Immunodeficiencies in Africa from a Patient Perspective – a Comparison with Haemophilia”. This meeting is sponsored by an unrestricted grant from National Bioproducts Institute (NBI), South Africa.